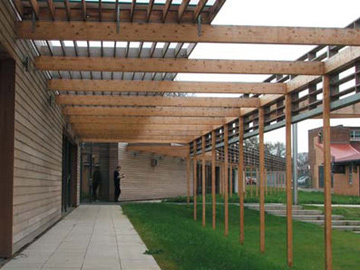 Bennetts Timber, the company behind Timber Cladding.net has been trading since 1804 and has seen many changes in both the timber and construction sector. Through the growth of the Internet we have brought levels of quality and service normally associated with large commercial projects and made them affordable for all. We hold a large amount timber cladding stock across materials such as Western Red Cedar, Siberian Larch and Thermowood has reduced lead times. We have also made a significant investment updating our state of the art Milling facility which means you can be assured of the very best quality finish to all of our cladding products. With great products available at the click of your mouse, its not surprising that Timber Cladding.net is becoming a construction favourite.